Description: Sheikh San'an and the Greek Christian maid. 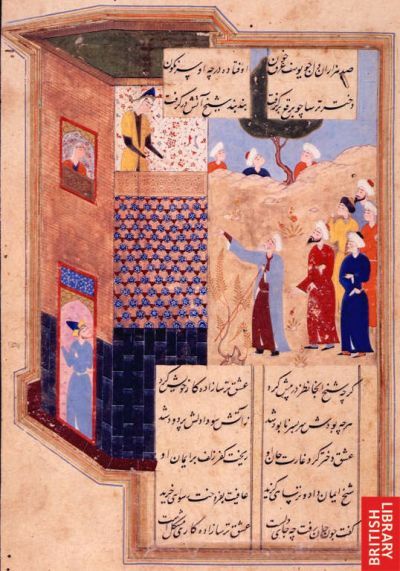 A miniature painting from a sixteenth century manuscript of Majalis al-'ushshaq ('The Assemblies of the Lovers'). Title of Work: Majalis al-'ushshaq.